1. Participates must record a message in accordance with current promotion theme. 2. Only one entry per person and must be 18 years or older. 3. Entries must be received before day of grand prize drawing. 5. The contest requires the person whose name is drawn to call in to claim the prize. 6. Only one set of daily tickets per household. Winner is still eligible for grand prize drawing. 7. Qualifying entries only will be eligible for grand prize drawing. 8. Sponsors, employees and immediate family members not eligible for promotional prizes. 9. WCLC & WGSN employees and immediate family members not eligible for promotional prizes. 10. Previous Spring into Life grand prize winners not eligible for future grand prize give-aways. 11. 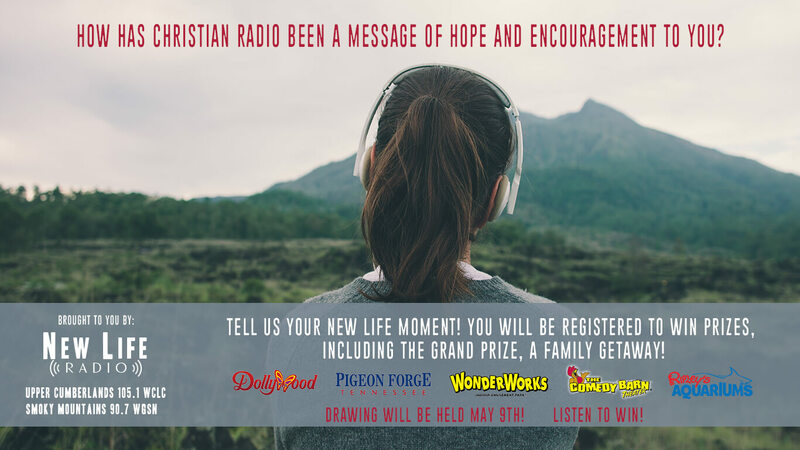 Not eligible to win if immediate family member has won any large New Life Radio give-away valued at $500 or more within past three years.